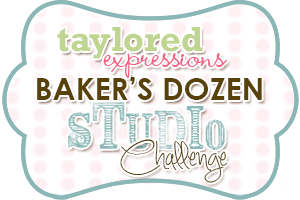 Today over at Taylored Expressions, the Design Team is showing projects from from this month's Baker's Dozen Studio Challenge studio challenge, where each month there is a different question that we answer and a fun way to get our craftiness on!!! This month's theme is Project Runway! PROJECT RUNWAY! Do you watch this show? It's perfect for creative types like us! On PR, the designers are given crazy challenges each week and asked to maintain their own personal style or point of view in their creation. 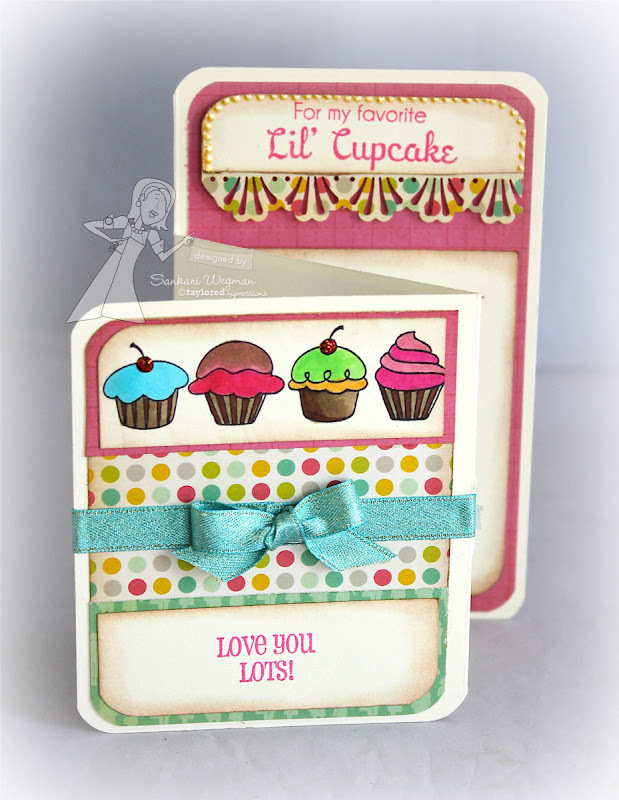 So, what's your stamping style or point of view? 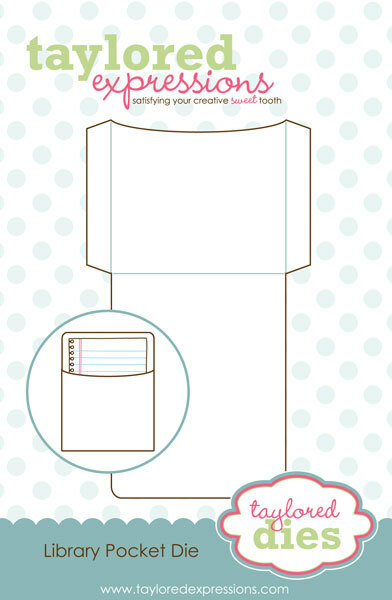 Would you consider your style to be CAS (Clean and Simple), Cutesy, Graphic, Vintage, Elegant, Layers & More Layers, or what? Describe it any way you like, it's your style after all! Today's challenge is to show us a couple of different projects using the same supplies. 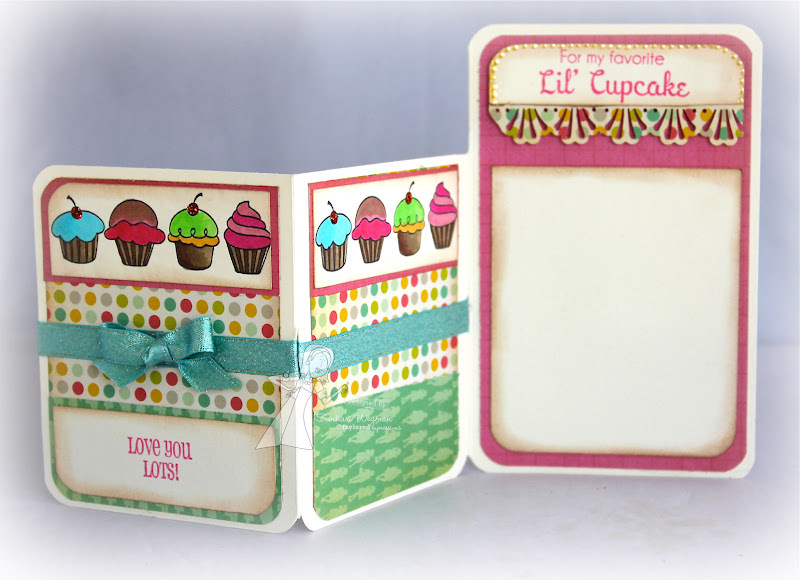 Show us one CAS card and one Fancy Fold card while still retaining your own personal style as much as possible. And then when the card is opened, there is another row of cupcakes revealed. I love how this turned out. 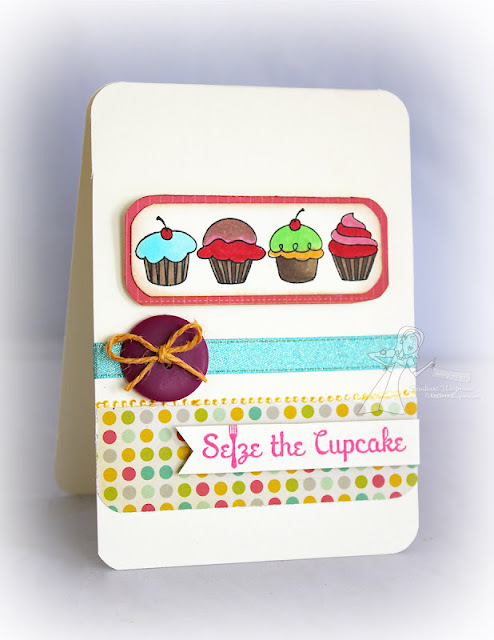 This was such a great challenge, because usually I made A2 cards, and it was fun to be challenged to create a different way to open and close a card! 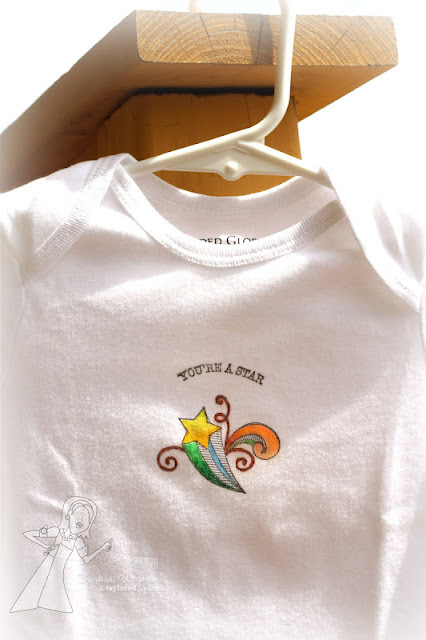 One of my favorite stamp sets from the August Taylored Expressions release is the Doodle Notes stamp set - such a great set for both wee ones and older ones :) I couldn't wait to make a special project for a very special wee one: my godson!! One of my best friends in the world had the cutest little baby boy in May and I was so lucky to be there when he was born - he is truly so special and so amazing! He has the cutest cheeks and the sweetest little smile and I love holding him and smelling his sweet little baby smell! 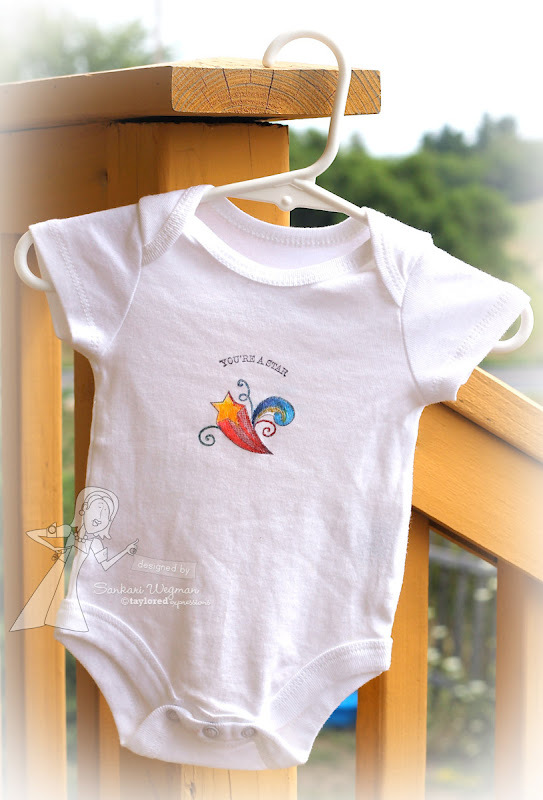 I stamped the "my little bookworm" sentiment onto a onesie with some Clearly Better black ink (that works on clothes) and then colored it in with some fabric markers. 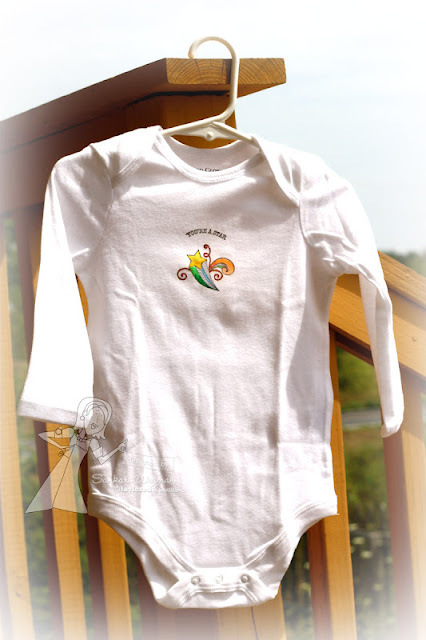 The onesie was heat set with a heat gun and then ironed to set the image before washing it. I love making special little presents for my dear ones and this one is especially dear to me :) Will post a picture of my little godson wearing this! 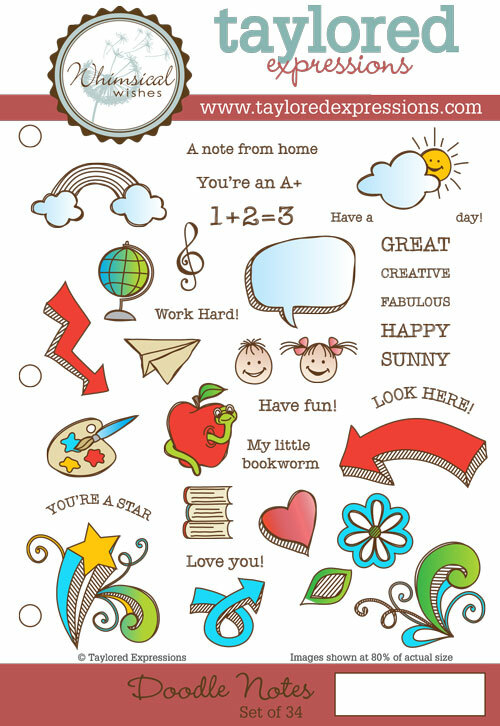 Can't wait :) Check out all the sentiments in the Doodle Notes stamp set at the Taylored Expressions store! I am an official DIRTY GIRL!!! 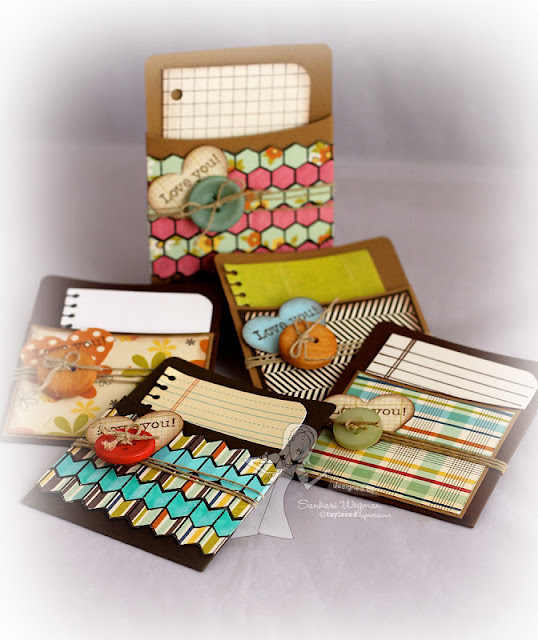 Joining the Splitcoaststampers Dirty Dozen design team is such an honor and I am still in shock and slight disbelief to be joining these amazing women! I don't at all feel worthy of this honor and I feel very grateful to be here! I have no words to convey how thankful I am to be joining these amazing women! And I can't stop using exclamation points!! A huge thank you to Lydia for asking me and to all my fellow teammates for making me feel so welcome (you guys are so sweet!!). My fellow partner who is also getting dirty this month is the awesomely talented Mindy Backes of Bada Bing! 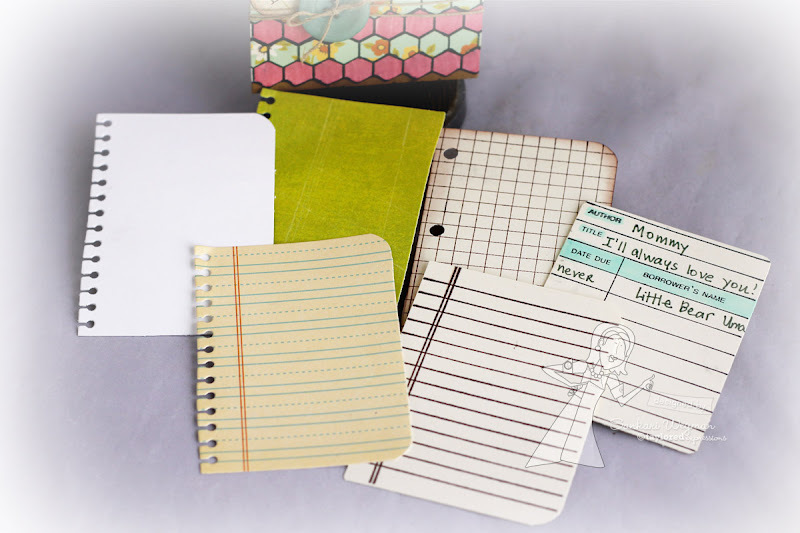 Paper Crafting! woo-hoo!!!! I am so speechless and excited and nervous and happy and frozen in shock and feeling all kinds of joy! Yippeeee!!! I had so much fun making these bookmarks and so much fun typing up this post! 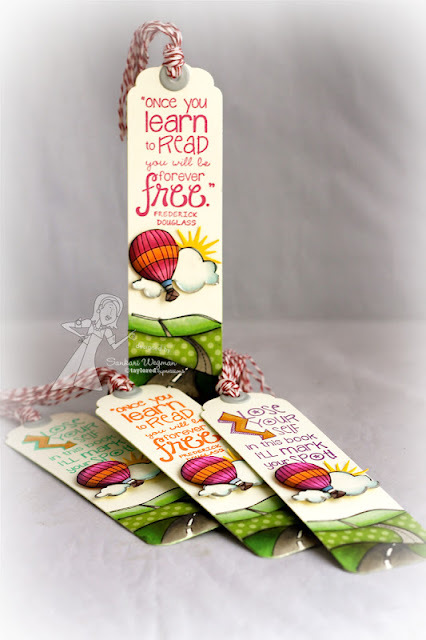 Can't wait to give these to my kiddos and to their teachers! Let another fun school year begin! And I can't wait for this exciting ride with the Dirty Dozen!!! Woo-hoo!! 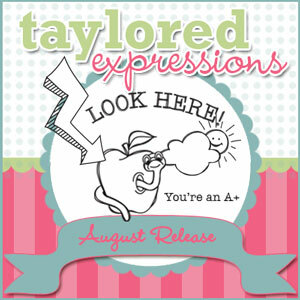 Taylored Expressions: August Release Spotlight hops! 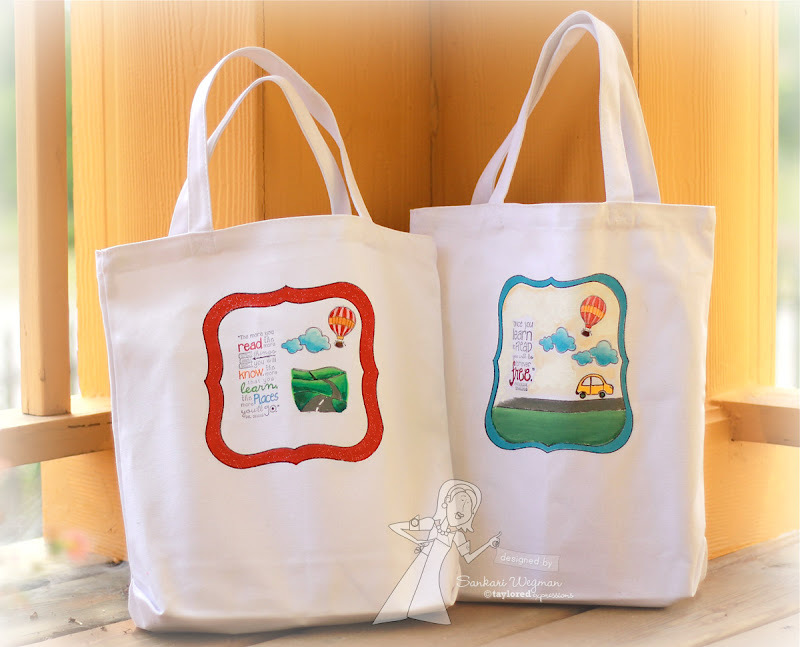 This week has been release week over at Taylored Expressions and there are a ton of new products - check out all the deals and steals in the Fresh Out of the Oven section at the TE store and check out all the Current Specials section! 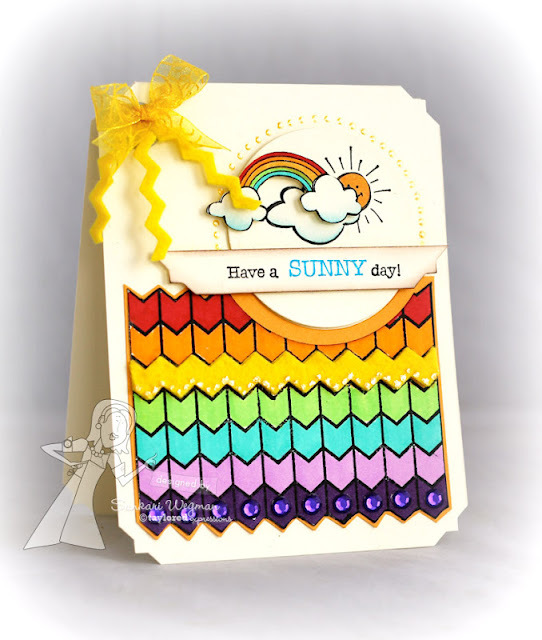 I have been lovin' this release and for my project today, I created a simple CASish card using the Chevron Big Background stamp set with the sunshine rainbow from the Doodle This stamp set. I stamped the Chevron Big Background image onto some Choice Snow White card stock and then colored a rainbow with my copies. Taylor also has come out with a Chevron Border Dies that fit perfectly with the stamp! I die cut some yellow felt with my Chevron Border die and then placed it over the yellow row in the rainbow and then added a row of liquid pearls over the felt. 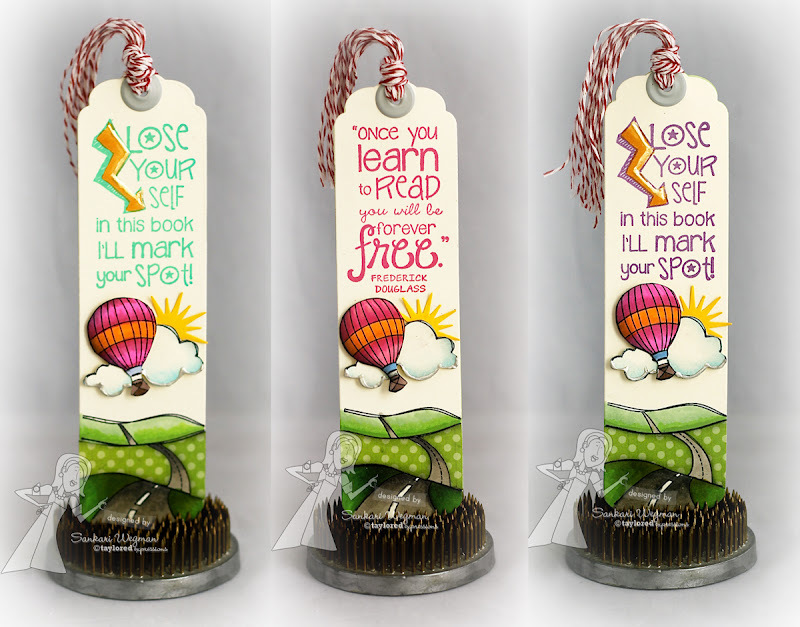 I stamped the rainbow and clouds and cut it out with some circle nesties and then popped a cloud out and stamped the sentiment that I added some corner interest and then sponged with some brown ink. I loved how quick it was to make this card - it was also fun to color it in with a rainbow motif :) Please check out all the awesome creations on the Release Spotlight hop that these amazing ladies have created!! Thanks so much for stopping by today! Hope you have an amazing weekend! 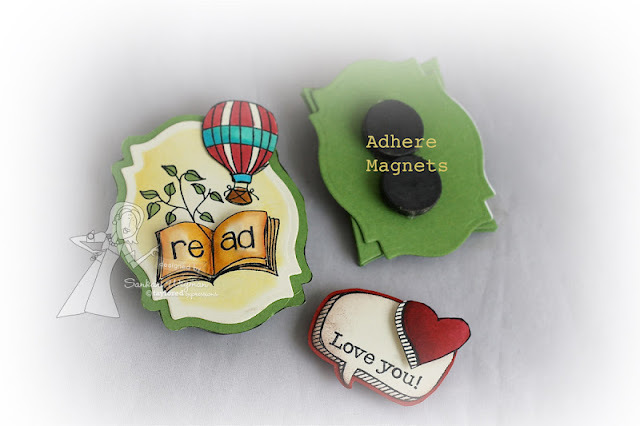 Its release day over at Taylored Expressions and today all the gorgeous stamps and dies are available for purchase at the TE store! I absolutely love these stamps and completely enjoyed making some projects with the dies and stamps and have a couple of projects to share with you today using the Doodle Notes stamp set (concepted by the super talented Jen Shults and illustrated by the amazing Nancy McKinney) and the Mark Your Spot stamp set (illustrated by Nancy and created in collaboration with Taylor). Please stop by tomorrow for our Spotlight hop! 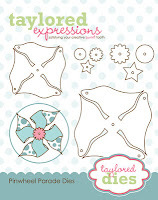 Today is the second day of sneak peeks from Taylored Expressions and I am excited to sneak peek two awesome stamp sets that will be released tomorrow! All of the new products will be available for purchase starting tomorrow at 8am PST in the Fresh Out of the Oven Department! 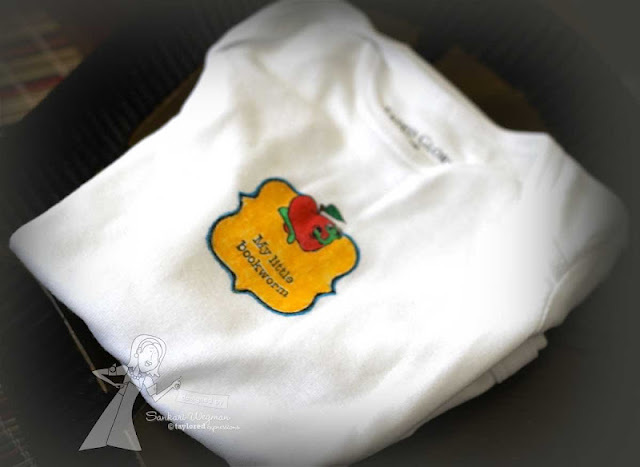 But first, 10 lucky ladies on our Facebook page will have a chance to win one of our new releases! All you have to do to be one of those 10 lucky ladies is tune in for our Preview Party on Facebook starting tonight at 6pm PST! 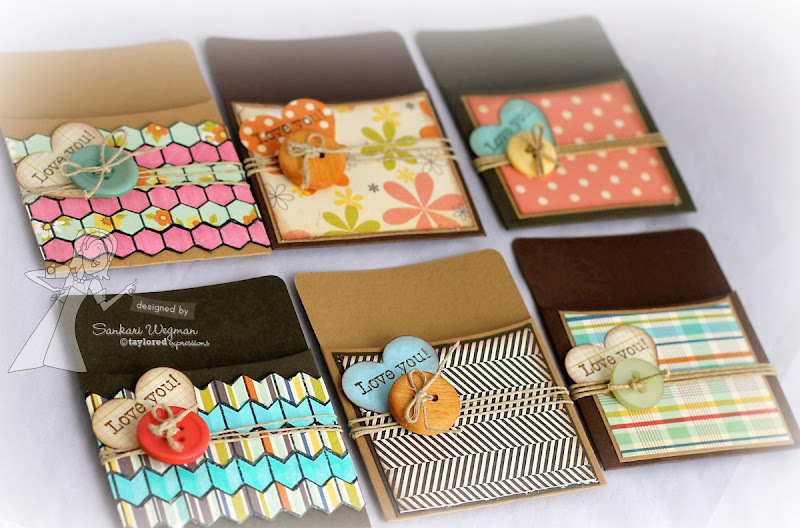 One is the big Hexagon Big Background and the second is the awesome Happy Trails stamp set concepted by the awesome Jami Sibley and designed by Doug Applegate. I stamped the big background Hexagon stamp in versa mark and then embossed it with white detailing powder and had this as my background and then created a foreground of mountains from the Happy Trail Stamp set. I love that you can make a background that is big enough for a regular size A2 card with the Big Hexagon background. 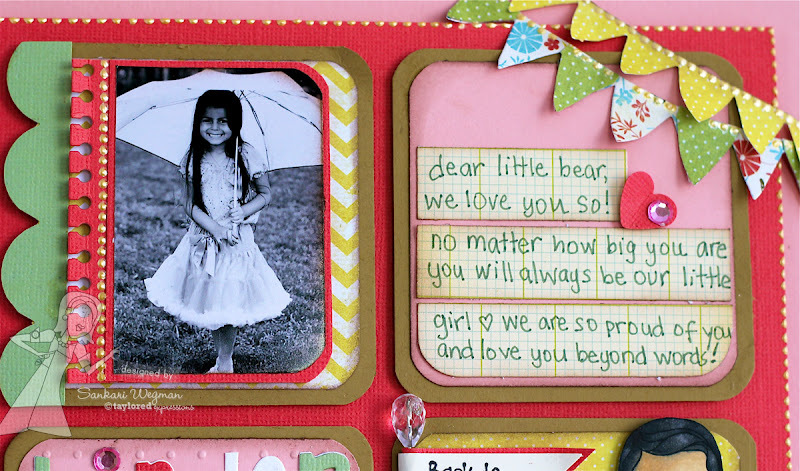 Here is a closer peek a the scrapbook page and the Pennant border die along with the new Notepaper die that I used to cut the DP from the MME On the Bright Side papers. 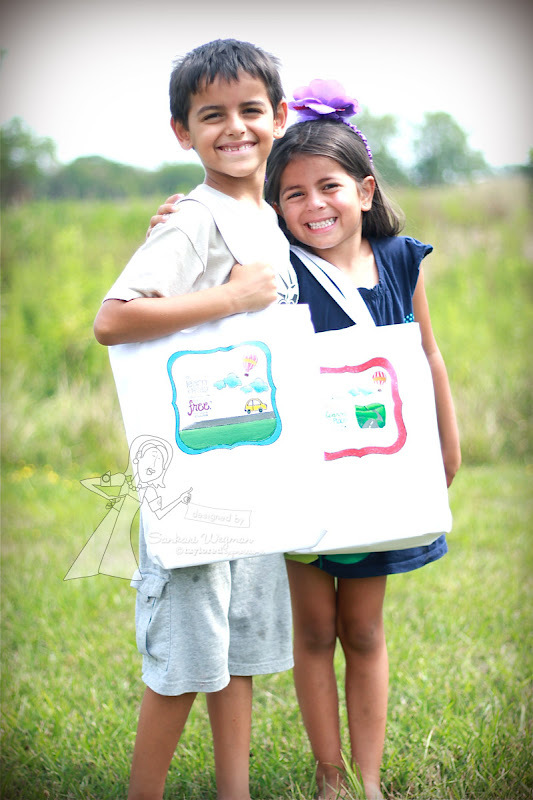 Here is a closer peek at the lettering and at cute little Moka Gwen - I love her little skirt and book bag -sooo cute!! 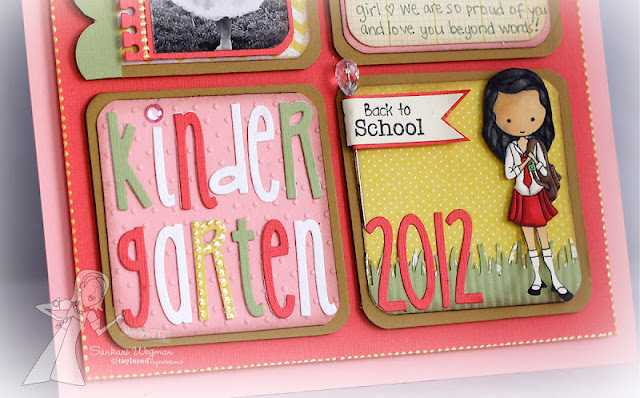 I can't wait to see what all the girls have made using all of the different dies and stamp images - this is such an amazing group of stampers and an amazing set of dies and stamps!! Join me and hop around and huge welcome to the Courtney Kelley - our guest designer! Accessories: EK success border punch, corner chomper, heart punch, cropadile, circle nestabilties, silk ribbon from May Arts, twine and dimensionals. 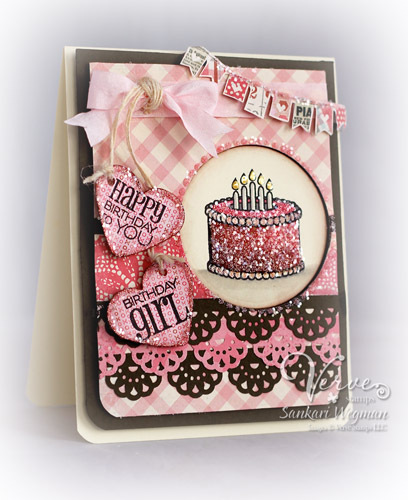 I created a frame for the birthday cake in this set that I first paper pieced and then covered with glitter sprinkles. 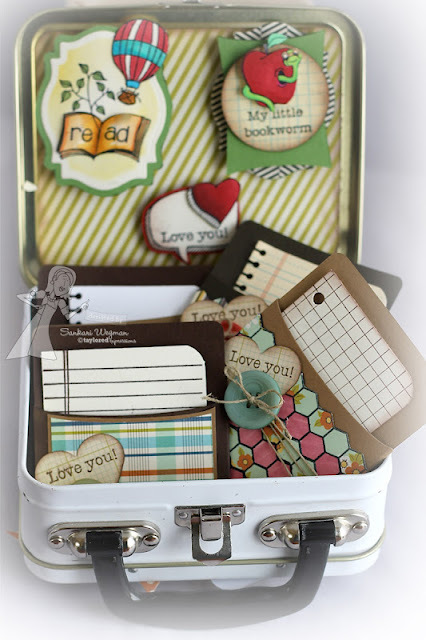 I added a little border punch bottom half and then cut out a banner from the Love Me DP from MME and then added the sentiments from pieces of twine that was wrapped around a silk ribbon. 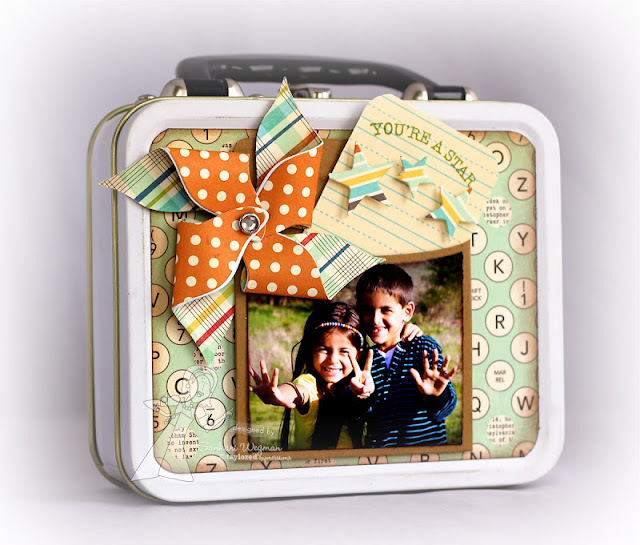 I can't wait to see all the fun creations that everyone has made today - please join me and hop around to see all the Verve gorgeousness by continuing the hop over to Sony's gorgeous blog or you can start the blog hop over at Betty's beautiful blog!